Our hydrographers leave little to the imagination! Do you have the WHOLE picture? We have specialty tools for when the going gets tough! Our inspection and survey services will provide comprehensive, detailed information on everything located beneath the waterline. Using the latest technologies, Brennan can provide detailed reports, 3-dimensional models, and acoustic images that leave little to the imagination. We are a resource to dam owners and their engineering firms for FERC Part 12 Inspections and during the design process. We can provide several options to capture all the critical information needed to maintain structures in good operational condition. 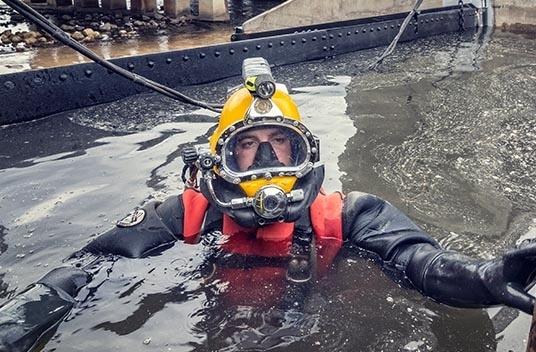 Our divers are experienced and commercially certified with the knowledge necessary to perform a thorough underwater inspection. 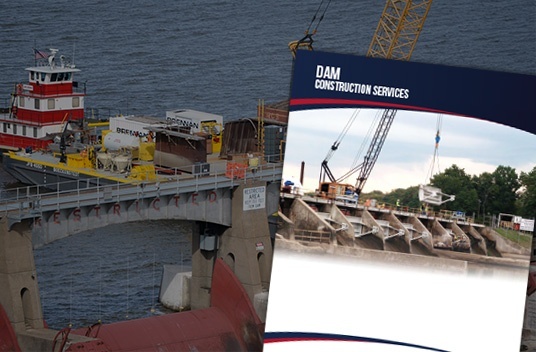 They are familiar with dam structures as well as underwater construction techniques, and are outfitted with state-of-the-art equipment. Call us to carry out detailed FERC Part 12 inspections on any part of your structure. 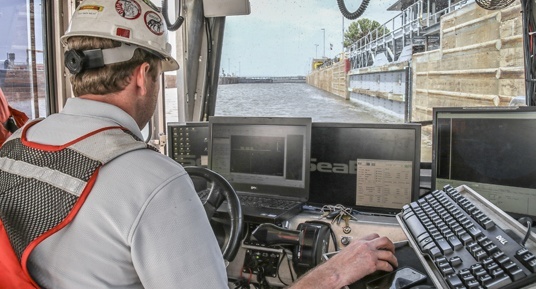 Brennan uses the latest multi-beam systems combined with RTK-GPS to model the entire area around dams, levees and embankments. These detailed models can clearly delineate areas of scour, sediment and debris build-up, and slope conditions. The data collected is used to build a 3-dimensional model that can be used for visual inspections, as well as scour calculations. 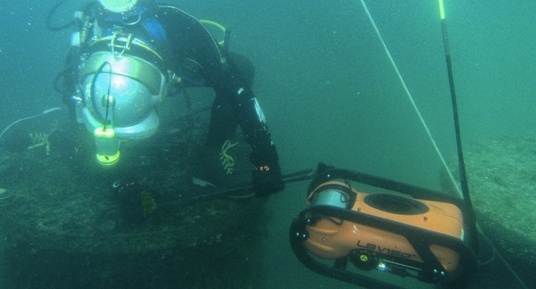 When underwater visibility is limited, or water flows are too high to safely use divers, underwater acoustic imaging, a.k.a. sector scans, can be a helpful tool. 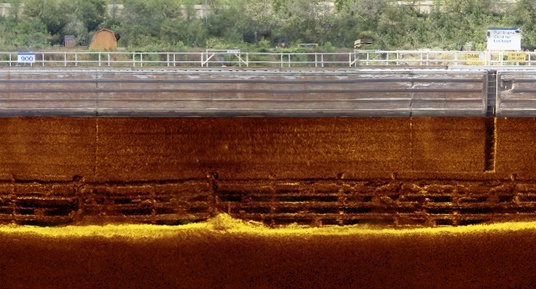 This technology uses acoustics to create an image of pier noses, bulkheads, gate structures, and more to help detect structural problems and scour issues. Typically, these images can be combined with above water digital photography or CAD drawings to create a pictorial reference of the entire structure. 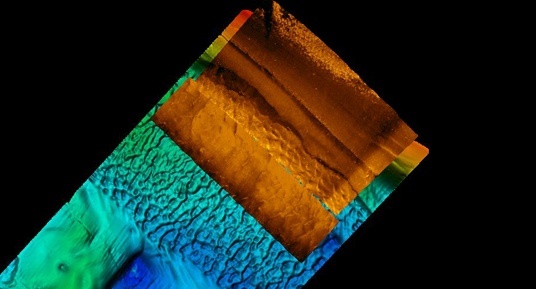 Side scan sonar is another great imaging system that can give a detailed view on underlying debris, sediment buildups, and whatever else may be happening underneath the surface of the water. 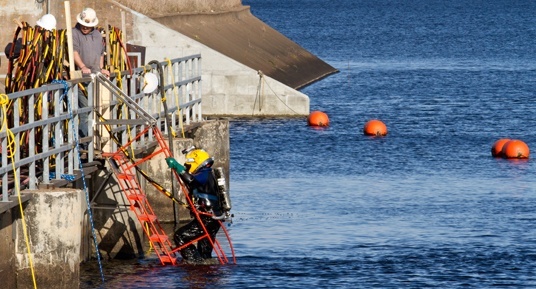 Gathering information is quick and economic, and often coupled with other imaging services to get a full understanding of the area surrounding your dam.